Boxing day, 2013. Leigh had been given a kite for Christmas, and as we headed to the beach to walk off the indulgence of the day before there was a palpable sense of excitement. The day was crisp and cold and bright: for a British winter it could hardly have been bettered. The wind was strong, but as it happened that was just what we wanted. Arthur was nuzzled up in the sling, still computing the craziness of his first Christmas season and, not that he knew it, waiting to experience his first birthday two days later. It was the adults though who were rapt with the simple pleasure of a kite flying high in the December sky. We each had a go, nonchalant at first, trying to conceal our nervousness and anticipation. But as the wind caught the fabric that our hands controlled we in turn were caught by a childlike joy. Those of us who were not physically attached to its pulls and turns found ourselves mimicking the twists and grins of the one who was, unable to tear our eyes away and united in our quest to maintain its flight for as long as possible. 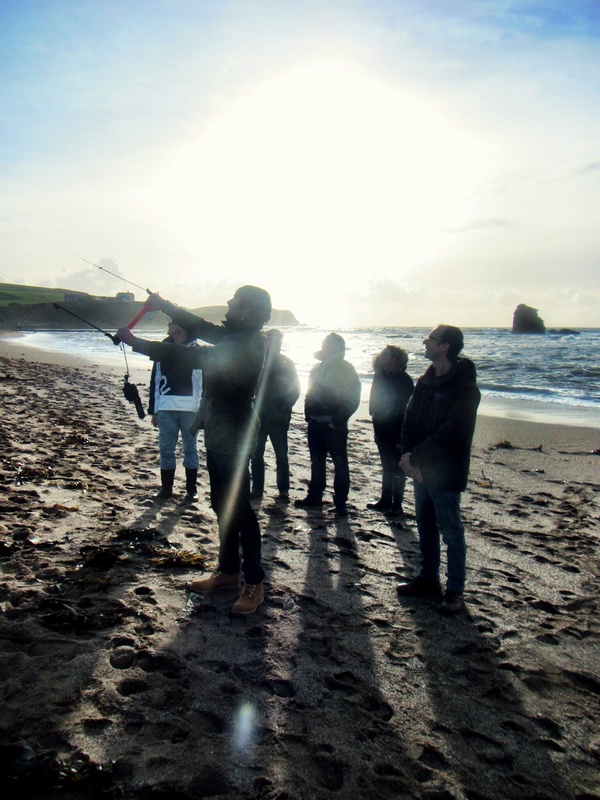 This entry was posted in Sophie is photographing, Uncategorized and tagged beach, Boxing day, Christmas, Devon, kite flying, winter on July 23, 2014 by sophieblovett. The beach in winter is a special place even more so with a kite!